The Nomad series is one of our global bestsellers, and with the recent addition of ARC Technology Atomic has made it even stronger. It’s perfect for people who ski mostly on piste, but who also like to venture off the side into softer snow. Nomad’s waist widths of up to 86 mm, All Mountain flex and Step Down Sidewall 2.0 take all snow conditions in their stride, while ARC Technology frees the ski to flex naturally for a smooth, natural ride. Binding come already mounted or do I need to take to a shop to installinstall? BEST ANSWER: We can't mount without you and your equipment here. 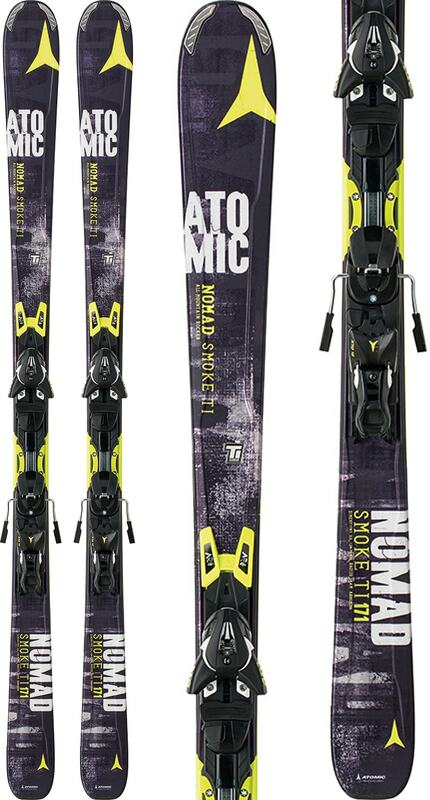 The Atomic Nomad Smoke TI Skis 178 with XTO 12 Bindings will be delivered unmounted. We recommend taking all your equipment to your local ski shop to be mounted by a certified professional. Have fun out there! 5'10" 200 pounds advanced to expert level looking for something to carve shorter turns. What Atomic ski do you recommend and what size? Thanks! The 171cm Atomic Nomad Skis would be rock solid for you, especially with it's 14.4m sidecut radius. But within the Nomad series which model do you think? What size are these? In the title it says 171 but under 'size' it says 178. Thanks. BEST ANSWER: They are 178cm. Are these a good ski for someone who is returning to skiing after years of not skiing. Skill level I intermediateintermediate? BEST ANSWER: Hey Bill! Congrats on getting back on the horse. The Atomic Nomad Smoke TI Skis 178 with XTO 12 Bindings are a great intermediate ski for cruising and carving on the groomers. Lively and fun with confident edge hold. There is a bit of rocker in the tip to give you ease of turn initiation which makes for fun shapes and helps keep your legs alive. Paired with the deep sidecut, these Nomads have a shallow turn radius. You can make A LOT of turns on the Nomads. I think you're going to love them. Have fun out there! What model year are these Atomic Nomad Smoke Ti? 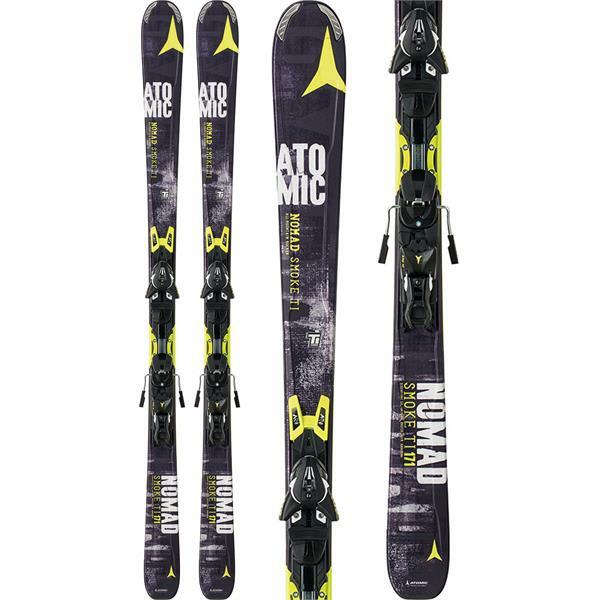 BEST ANSWER: These Atomic Nomad Smoke TI Skis are from the 2015 season. Atomic suggests that either ski could work for you here, so personal preference will be paramount. I like a little more nimble control, so I would think the 171 length would be the better option. I have been skiing for a few years off an on now, but i have recently moved to Boone and now that the slopes are 10mins down the road I'm looking at purchasing my own pair so i can go more often. Would this pair be a good set to start off on? i currently go about once a week to a resort. BEST ANSWER: It is a well made and engineered ski and will work quite well on your local groomers. Please call sales when you can, with your height and weight to determine the best length for you.